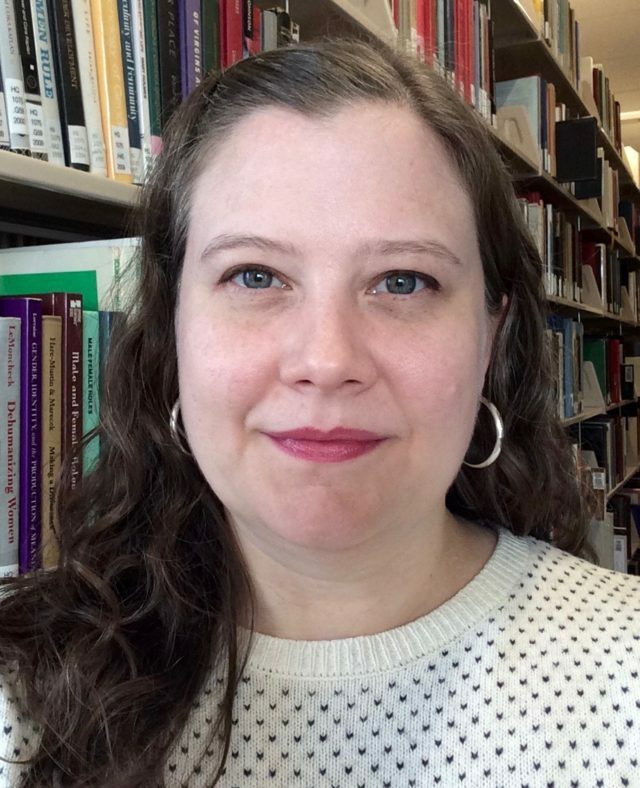 Tierney Gleason is a Reference and Digital Humanities Librarian at Fordham University. She worked for over a decade in the nonprofit sector for progressive social change before shifting the course of her activist career towards librarianship. A graduate of the Dual Degree Mentoring Program, a partnership between New York University and Long Island University to train scholar librarians, she earned an MA in Irish and Irish American Studies from NYU and an MS in Library and Information Science from LIU. She completed her BA in Women’s Studies at the University of Massachusetts in Amherst.